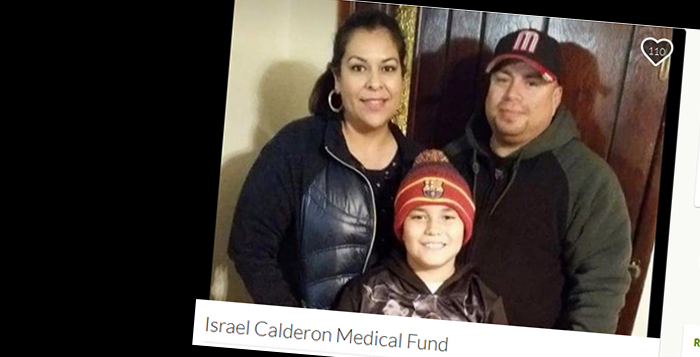 A GoFundMe account was started for Israel Calderon, and friends are hosting a softball tournament to raise money for his medical expenses. Friends and teammates of a Maricopa man who was injured in a 12-car crash on State Route 347 in December are planning a softball tournament to raise funds for medical bills and other expenses. They discussed the plans during a Parks, Recreation and Libraries meeting last week. Israel “Izzy” Calderon sustained critical injuries during the accident, said friend Gregg Hogenes. “As of Thursday, he was still in a coma. They moved him to the Barrow’s Neurological (Institute)” in Phoenix, Hogenes said. Hogenes said Calderon is a corrections officer who is paid hourly. “He’s already gone through all of his paid-time-off. His wife’s gone through all of theirs. So basically, they have nothing left,” he added. Calderon is also involved in the local softball community. After the accident, his friends said teammates rallied to help his family raise funds to pay medical bills by setting up a GoFundMe account online, as well as organizing the softball tournament. 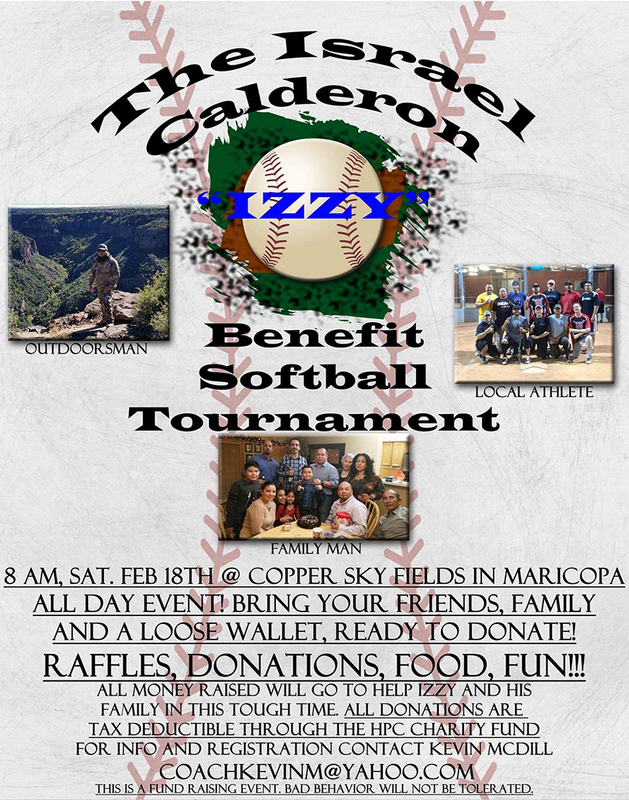 The Israel Calderon Benefit Tournament will take place Feb. 18 (rescheduled March 4 due to rain) from 8 a.m. to 9 p.m. at the fields at Copper Sky. Twelve teams have signed up, and an additional two teams are on a waiting list in case two of those teams drop out of the tournament, Hogenes said. He added that in addition to the tournament, there will be raffles, a homerun derby and a 50/50 raffle. Hogenes said organizers hope to raise at least $5,000 for Calderon’s family. Rich Vitiello also attended the meeting and said every dollar counts when it comes to helping Calderon and his family. “This man has a mortgage to pay for. He’s got medical bills, obviously, that he is going to have for a long, long time,” Vitiello said. Hogenes said all of the money raised during the tournament will go toward helping Calderon and his family. He also said all donations will be tax deductible through the HPC Charity Fund. A flyer for the event directed those seeking more information on the event to contact Kevin McDill at coachkevinm@yahoo.com.